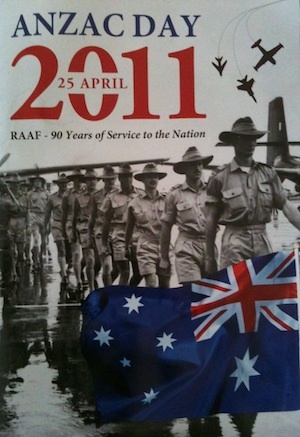 ANZAC day falls on the 25th of April each year and is a National day of remembrance in Australia and New Zealand. There is a tradition of memorial services being held on the 25th of April and today I attended my first ANZAC day service. ANZAC stands for Australia and New Zealand Army Corps. The day is the most significant commemoration of military casualties and veterans in Australia and New Zealand, attracting more attention than international Remembrance days. It is held traditionally at dawn, because the Gallipoli campaign (Gallipoli was an eight month long military campaign by the allied forces, to capture Istanbul and provide a seaway to Russia) landed on the Turkish shoreline at dawn on 25th April 1914. There were about 45,000 casualties at Gallipoli. 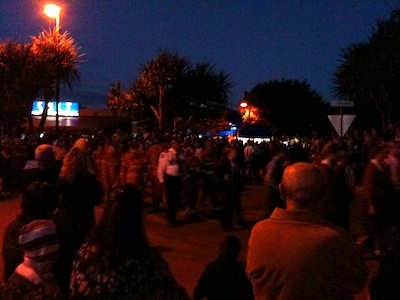 Dawn services are popular, due to the ill-fated Gallipoli landing taking place at dawn. Traditionally, veterans would ‘stand to’ before dawn and a bugler would play ‘the last post’. Then two minutes silence was held. Now services are more elaborate, often including readings, prayers, hymns, poems and a fly past. Although, the ANZAC day recognition came about as a result of the Gallipoli campaign, the day now more broadly honours all fallen soldiers and recognises the sacrifices made for the protection of freedom. At 5am this morning I went, with my partner and his family, to the ANZAC day dawn service at Bargara, by the beach. Our difficulty in finding somewhere to park indicated the significance of this event. It was 5am afterall. We trundled through the darkness and found a spot to stand, which was quite an achievement as the crowd was enormous. Currently serving servicemen, veterans, cadets, rescue workers, schoolchildren and relatives of servicemen marched through the main street to the memorial for the service. There was a welcome address, some readings, a prayer, pipe music and the laying of wreaths. There was a fly past and we all looked to the cloudless skies. The last post was played on the bugle, followed by two minutes of silence. I always find it amazing how silent a crowd can be. I could hear the fronds of a nearby palm tree rustle in the breeze, despite being in the middle of 4,000 people. When the service was over the parade returned and sang the Australian and the New Zealand national anthems. It is easy to forget the freedoms we all enjoy because of the enormous sacrifices of few. “Never was so much owed by so many to so few” Churchill said (with reference to the RAF pilots during the Battle of Britain in 1940) If you think of the freedoms we enjoy today and the relatively few active servicemen we have today protecting those freedoms, sometimes with their lives. Churchill's words are certainly still true today. I discovered today that my partner marched during ANZAC parades as a teenager, when he was a sea cadet. 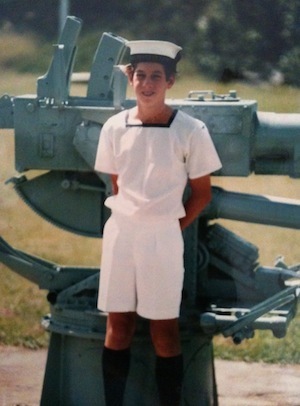 I also learned that his father played the bugle at ANZAC services for years. I felt like I shared some true Aussie spirit this morning as the sun came up over Bargara beach.